Phil and Natalie moved to West Street last autumn and found a couple of hand-sewn cloth banners in the loft of their garage. The banners were accompanied by newspapers from the 1950s so the new residents wondered if the two banners also date from that period. 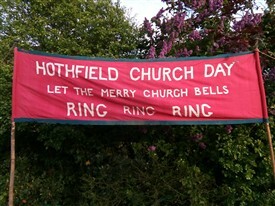 The banners promote “Church Day” at Hothfield and one banner invites the merry church bells to ‘ring ring ring’. The cloth is mounted on poles, perhaps to be carried in a parade, with ornate finials on the top. Can anyone please tell us what was the ‘Church Day’, what happened at those events and do you remember seeing these banners? Natalie and Phil have kindly donated these signs to the village archive so it would be great to add some information about the history of the banners and their use. … and who made them? Please e-mail:hothfieldmemories@hotmail.com if you have any information about these banners, many thanks. 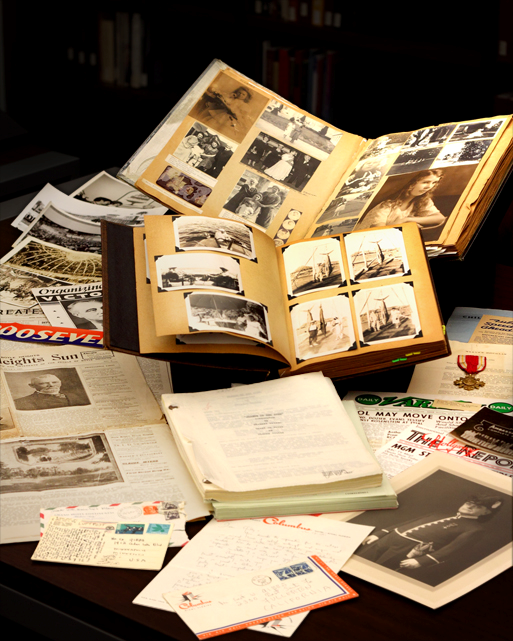 This page was added by Chris Rogers on 11/05/2018.